Oni Press recently announced a return volume continuation to its young adult friendly Junior Braves of the Apocalypse comics series of light horror and zombie mayhem; as Junior Braves of the Apocalypse Vol 2: Out of the Woods! continues with writing by Michael Tanner and Greg Smith, and art by Zach Lehner. In a zombie wasteland of unknown origin, Troop 65 marshals onwards in the hopes of finding their families in Seattle, the nearest logical evacuation location. After a difficult journey by land and river, they make a stop in a suburban town that serves as ground zero of a battle between a corporate office that may have caused the apocalypse and the survivors from the nearby Native American reservation. Junior Braves of the Apocalypse, Volume 2 hits shelves in both hardcover and paperback editions on August 8th. 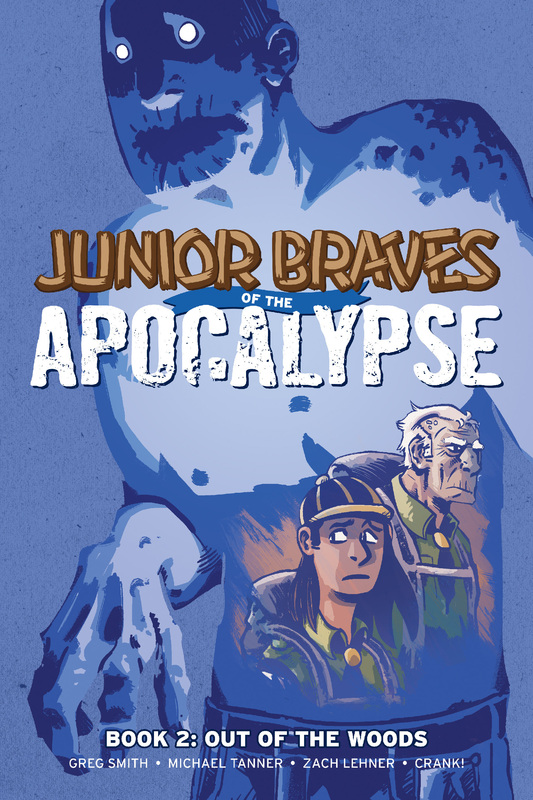 The first volume, Junior Braves of the Apocalypse Vol. 1: A Brave is Brave is available everywhere at finer bookstores and digital outlets now.